Since the award was created in 1939, the Association for Women in Communications has presented over 200 distinguished professional members with the Headliner Award to recognize their outstanding achievements. Brenda Jones Barwick, President of Jones Public Relations, is a rarity – especially in America’s heartland. She has 35 years of public relations experience at the highest levels in Washington, DC politics, European diplomatic relations and with Fortune 500 companies. In Washington, D.C., Brenda was a writer in The White House West Wing for President Ronald Reagan’s Administration, who later appointed her to the Foreign Service. She served at the American Embassy in Switzerland coordinating ambassadorial-level diplomatic events and developing public outreach initiatives to advocate free enterprise and democratic principles. During President George H.W. Bush’s term, Brenda served on a Presidential Commission at the U.S. State Department that advised the president on foreign aid structure. After 15 years in Washington, DC and Europe, Brenda became Vice President of Public Relations for the southwest’s sixth largest advertising agency, Ackerman McQueen, where she planned and coordinated campaigns for the Dallas Cowboys and Six Flags. Her involvement in AWC spans more than 20 years, joining the organization in 1993. In that time she served nine years on the Oklahoma City chapter’s board of directors, lending her leadership and expertise for the roles of Public Relations Chair, Bosses Breakfast Chair, Byliner Awards Chair, President-Elect, President and Past-President. She continues to assist the chapter as needed, serving many times on the Byliner Selection Committee and recruiting new members to the organization. In 2013, the chapter honored her with a Byliner Award in the communications category for her significant contributions to the communications field, the Oklahoma City community, and the Association for Women in Communications. Margery Krevsky is the co-founder, President and CEO of Michigan-based Production Plus – The Talent Shop. Krevsky, dubbed “The Queen Bee of the Car Show Models” by Forbes, long ago defied the prevailing trend that had models at auto shows draped against vehicles, dressed sexily in tight ball gowns and short skirts and armed with memorized scripts. She took bold steps and outfitted her talent in sophisticated business attire, first for Pontiac, then Nissan and Toyota. She insisted on her models becoming trained as “product specialists,” so they could impress potential customers with vehicle comparison facts and figures as well as glamour. The consummate entrepreneur, Krevsky took the knowledge gained from working with beauty professionals and, in 2008, launched Purely Pro Cosmetics. She also is the author of the award-winning book, Sirens of Chrome: The Enduring Allure of Auto Show Models, which served as the muse for the exhibit by the same name, which most recently was on display at the National Automotive Museum in Reno, Nev. Krevsky is part of the Michigan Concours d’Elegance and a member of the Women’s Automotive Alliance International. In 2010 she was awarded the Ernst and Young Entrepreneur of the year award. Krevsky is a member of the AWC Detroit Chapter and serves as the Vice President of Membership. Lois Phillips, PhD, a management consultant and trainer, leads seminars in presentation skills, media skills, and organizational communication for companies, agencies, professional associations, and universities. 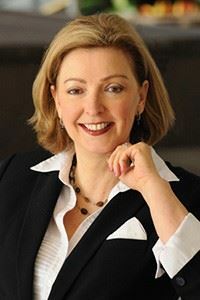 She also facilitates planning retreats and provides coaching services to executives who wish to communicate more effectively with both internal and external stakeholders and the press. Dr. Phillips delivers customized keynote conference presentations for professional associations and staff development events and is frequently interviewed by media. Dr. Phillips addressed the number one fear of Americans – the fear of speaking to a crowd – by writing the book ‘Women Seen and Heard; Lessons Learned from Successful Speakers.’ The book helps women candidates, advocates, and leaders in every role understand how to gain credibility as the voice of authority. 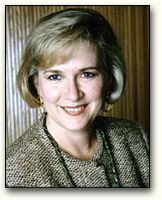 This formidable woman who earned her PhD in 1986, served as founding executive director at Antioch University, owns her own consulting and training company, facilitates strategic planning processes for colleges and universities, produces television programs about the impact of women’s expanding roles and current events, and last summer started a political campaign consulting company. The AWC Headliner Award was not awarded in 2010. 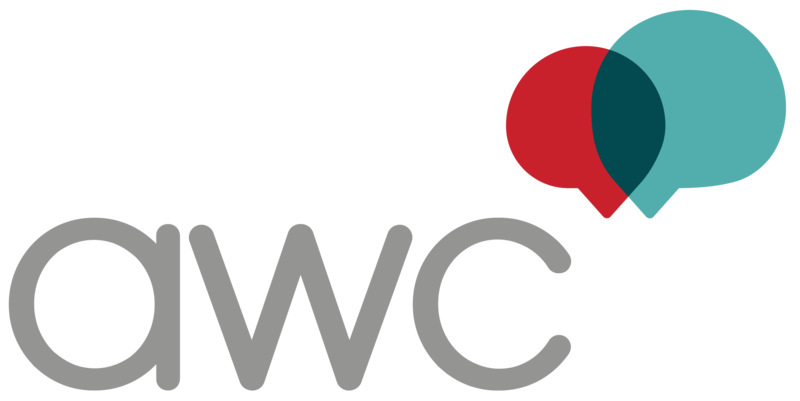 The AWC National Conference moved to a bi-annual event in odd numbered years, and the award is presented there. Lorraine Howell started Media Skills Training in 1998 after 12 years as a television news and talk show producer in the San Francisco Bay area. Currently, she coaches top executives and professionals to speak more effectively to the media and she specializes in message development, presentation skills and crisis communications. Her clients include Starbucks Coffee Company, Microsoft WIO & EIO, REI, Vulcan, Inc., Group Health Cooperative, Children’s Hospital & Regional Medical Center, U.S. Small Business Administration, and many more. In October 2008, she returned for the second year to coach the five finalists in the Forbes.com national Boost Your Business Contest in New York City. Howell’s book, Give Your Elevator Speech a Lift, helps professionals develop a concise, strategic answer to the question, “What do you do?” and engage the listener’s interest in just a few seconds. In June 2008, she received the AWC Seattle Chapter’s annual Georgina MacDougall Davis Founders Award, which was created in 1976 to honor AWC’s founder as well as a member who has consistently exhibited the highest ethics, professional excellence and personal commitment in everything they do. As the Senior Segment Producer on the top rated news show “Mornings on 2” at KTVU, the Oakland Fox affiliate, she specialized in booking exclusive, live interviews with top names in the news, public figures and celebrities. 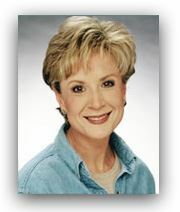 At KPIX, the CBS affiliate, she produced live, hour long programs featuring breaking news stories, controversial issues, emerging trends and a long list of celebrities on the number one morning talk show “People Are Talking.” She produced live broadcasts from the White House and from the Capitol in Washington, D.C., from the 1996 Republican & Democratic National Conventions, and from “Camp O.J.” during the Simpson murder trial in Los Angeles. Maria Henneberry and her husband, Phil Vandiver, are co-owners of Contemporary Visuals, a multi-media production company based in Illinois. Henneberry and her husband have grown their business to include a range of clients from nonprofit agencies and universities to Fortune 500 companies. Their video production work has taken them as far away as Ireland to produce news segments that aired in two news markets in central Illinois. They have received significant recognition for their freelance work, including two nationally-recognized “Telly” Awards for educational video projects – one on manners and the other about blended families – each used as teaching tools in junior high and high schools around the country. Henneberry has also distinguished herself as an award-winning television journalist and anchor. She has worked as a news reporter/on-air personality at WJBC/WBNQ radio in Bloomington, Ill., ultimately becoming the first female bureau chief of CBS 31’s and WCIA-TV’s Bloomington-Normal newsroom. She was the first television anchor for the newly created McLean County-focused FOX 43 News at Nine newscast for two and a half years. Over the years, Henneberry’s news stories have aired throughout the United States, leading newscasts as far away as Indianapolis and Albuquerque, N.M. She’s been a versatile writer, production coordinator, on-air, and voice-over talent. It’s not only her video work that’s been nationally and internationally distributed, Henneberry has appeared on national media as well. Her on-air credentials include appearances on CBS News and QVC, as well as host of instructional videos in each Eureka Steam Cleaner box and for Electrolux in-store displays. Henneberry was chosen as a Bloomington-Normal Hometown Hero in her early 20’s for helping bring the Association for Women in Communication’s Regional Conference to town, which helped generate thousands of dollars for the local economy. Years later, as president of that same Mclean County-based AWC organization, Maria received a national award for most improved chapter. 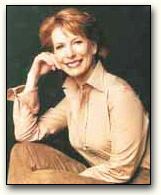 Now, in 2008, Henneberry has been named the 2008 AWC Headliner, the highest national award bestowed upon an AWC member. Henneberry attended Black Hawk College, where she made the President’s list before graduating with an Associate in Arts degree. She graduated from Illinois State University (ISU) with a Bachelor of Science degree in Mass Communication, with a Journalism and Public Relations emphasis, in May 1991. 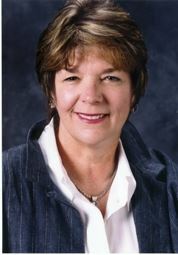 Jami Fullerton, Ph.D., is an associate professor of journalism and broadcasting at Oklahoma State University at Tulsa. Fullerton recently co-authored a book about an anti-terrorism ad campaign titled “Advertising’s War On Terrorism: The Story of the U.S. State Department’s Shared Values Initiative.” The book cites internal documents and research to assert that the advertising campaign was successful in fostering more positive attitudes toward America in the Middle East and elsewhere, although the campaign was canceled after less than two months. Fullerton’s research interests include the portrayal of gender in advertising and cross-cultural communication. Fullerton has published studies in academic journals on international and ethnic advertising and advertising education as well. The College of Arts and Sciences at Oklahoma State University named her outstanding researcher in 2001. Fullerton, who is the recipient of one State Department grant and a participant in two others, often spends her summers abroad teaching and conducting research on cross-cultural communication and media globalization. Currently, Fullerton serves as the chair of the American Advertising Federation’s (AAF) Academic Committee and is on the AAF Board of Directors. Anita K. Parran, associate state director for public affairs for AARP Missouri, has been named the Headliner Award winner for 2006 by the Association for Women in Communications (AWC). Parran was presented with the award at the Headliner Awards Luncheon Saturday, September 16, 2006, at the Hyatt Regency Crown Center Hotel in Kansas City, Mo. Parran works at AARP Missouri, which is based in Kansas City, MO. She is responsible for all of the organization’s communications efforts in Missouri and special projects and events. She is also responsible for supporting AARP’s national communications strategies in the areas of legislative advocacy, economic security, and the organization’s Social Impact Agenda. Parran has been active in the Greater Kansas City Professional Chapter of The Association for Women in Communications since 1991. She has held a variety of leadership positions within the chapter, including president, vice president-programs, program committee chairman and vice president of membership. Parran has also served as an International Conference Delegate for the AWC Kansas City chapter. She was the chapter’s 1995 Leading Change Award recipient and the 1999 recipient of the chapter’s Unsung Hero Award. A native of St. Louis, Parran earned a Master of Arts degree in Business Management from Webster University in St. Louis, Mo. and a Bachelor of Arts degree in Journalism from Stephens College in Columbia, Mo. She is involved with several professional groups and devotes much of her time serving on Boards of Directors for organizations including The Central Exchange, Harvesters, Community Blood Center, and is the Public member on the Missouri Board of Pharmacy. She is the immediate past president of the Kansas City Association of Black Journalists and volunteers for organizations including Junior Achievement and the Urban League. Laura Moore, senior vice president and chief communications officer of RadioShack, is the 2005 winner of the Headliner Award, which is presented to an AWC member who has recent national accomplishments, as well as consistent communications excellence. Her areas of responsibility include internal, store and financial communications; media and community relations; events and recognition; and communications project management. She joined RadioShack’s senior management team in 1998 as vice president for public relations and corporate communications. 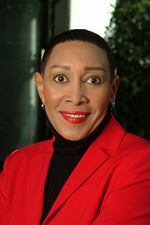 Before she joined RadioShack, Moore was vice president of corporate communications for Zale Corp., community relations manager at Fidelity Investments, publc affairs officer with the Texas Department of Transportation, and director of public relations and staff development at Dallas County Schools. Moore began her career as a writer for a financial services trade publication. Moore is a graduate of Texas A&M-Commerce. She serves on the boards of Students in Free Enterprise and the Fort Worth Symphony. 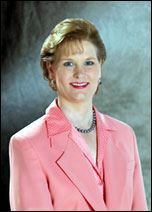 In 2002, Moore received the Texas Public Relations Association’s Outstanding Practioner Award in honor of her public relations accomplishments. Margaret Larson is a 25-year veteran broadcast journalist, most notably with NBC News. She served as a correspondent based in Burbank, a foreign correspondent based in London, news anchor for the Today Show and correspondent for Dateline NBC. As an overseas correspondent, she covered the Persian Gulf War, the Kurdish refugee crisis in northern Iraq, Typhoon Thelma in the Philippines, the release of the final four American hostages from the Middle East, British and Eastern European elections, and many other international developments. At the end of 2002, Larson departed NBC affiliate KING-TV, as co-anchor of the top-rated 11 o’clock news, to accept a position with international aid agency Mercy Corps. She had spent ten years as a volunteer and board member for Mercy Corps, traveling to Lebanon, Albania, Macedonia, the Pakistan-Afghanistan border and Iraq, before accepting her current post as Vice President of Communications. While still working periodically with Dateline NBC, Larson devotes her full-time attentions now to the humanitarian work undertaken by Mercy Corps in more than thirty countries around the world. Larson has garnered several broadcast journalism awards including three Emmys, two national Clarion awards, New York Film Festival awards and a national SPJ award. She serves on the board of Mothers Against Violence in America and is a trustee of the Children’s Home Society, serving families at risk. Larson was also named the 2003 Communicator of the Year by the Seattle Chapter of The Association for Women in Communications and the 2003 Woman of Distinction by the YWCA Olympia Chapter. Margaret Larson lives outside Seattle, Washington with her husband Tim and their 11-year old son Kyle. Patrice Tanaka (“PT”) co-founded PT&Co. in July 1990 upon completing a successful management buyback of her public relations firm from former parent company, Chiat/Day, inc. advertising. Over the past 13 years, Ms. Tanaka has led PT&Co. to become one of the nation’s most highly regarded independent PR firms. During that time, the agency has grown more than 850 percent, won 160+ industry awards for its breakthrough PR campaigns, been celebrated by Inside PR magazine as the “#1 Hot Creative Shop” in the nation, the “#1 Employer of Choice” among mid-size PR firms in America, and the “#1 Most Esteemed PR Firm in New York” by various PR industry trade publications and organizations. Some of America’s leading consumer marketers have been attracted by the agency’s high-energy drive to do breakthrough PR, including American Express, Avon Products, Bristol-Myers Squibb, Canon U.S.A., Coors Brewing Co., Duracell, Ernst & Young, Fodor’s Travel Guides/fodors.com, General Motors, Godiva Chocolatier, Liz Claiborne, Microsoft, Novartis, Procter & Gamble, Charles Schwab & Co., Target Stores, among others. Prior to founding PT&Co., Ms. Tanaka was Executive Vice President & General Manager of Chiat/Day’s PR subsidiary. Ms. Tanaka has been honored/will be honored by a number of organizations, including: the University of Hawaii, which will honor her with its “Distinguished Alumni Award” (2003); the Public Relations Society of America (PRSA), which will confer upon her their Paul M. Lund Award for Public Service (2002); Asian Women in Business (AWIB) which saluted her with its “Entrepreneurial Leadership Award” (2001); The Star Group which honored her as one of the “Leading Women Entrepreneurs of the World” (2001); Inside PR magazine which recognized her as a “Creativity All-Star” (2000); Asian Enterprise magazine which named her “Asian Entrepreneur of the Year” (1999); Business & Professional Women/U.S.A. which bestowed upon her its “Women Mean Business Award”(1999); New York Women in Communications which presented her with the “Matrix” Award (1997) in Public Relations; Girl Scout Council of Greater New York which honored her with a “Women of Distinction” Award (1995); YWCA which named her to its “Academy of Women Achievers” (1994); and Working Mother magazine with its “Mothering That Works” Award (1994) for creating a family-friendly workplace. Ms. Tanaka currently serves on the boards of Asian Women in Business, the Family Violence Prevention Fund, the Girl Scout Council of Greater New York and New York Women in Communications where she is Immediate Past President. She is also a founding board member of the PR agency trade association, the Council of PR Firms, and the Asian Pacific American Women’s Leadership Institute. Ms. Tanaka is also a member of the New York Women’s Forum. She was born and raised in Hawaii and is a graduate of the University of Hawaii (1974). As anchor of FOX News Channels, Rita Cosby continues to out scoop her seasoned colleagues while covering national and international breaking news stories. Most recently, she made international headlines by obtaining exclusive interviews with former Yugoslav President Slobodan Milosevic, Pakistani President Pervez Musharraf and back to back interviews with Mideast leaders Yasser Arafat and Ariel Sharon. Currently the youngest senior news correspondent in network television, this three-time Emmy winner for investigative reporting has consistently broken major news stories throughout the world. Live in Belgrade during the bombing, Cosby was first to report that the three American POWs were going to be released; scored the only interview with the Montana Freemen during their 1996 standoff; covered the entire Elian Gonzalez custody battle; and traveled to Cuba to report on the Pope’s historic meeting with Fidel Castro. Cosby has also interviewed four U.S. Presidents and has been a lead reporter covering the Presidential campaigns of 1996 and 2000. Her political savvy and adept handling of “quips and rips” on the Washington scene have made her a regular guest on national radio. As a University of South Carolina honor graduate, Cosby has taught numerous college classes, and in 1998 was presented with USC’s Distinguished Alumni Award. 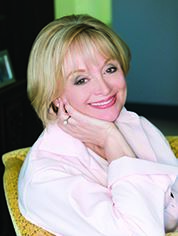 Fluent in Spanish and proficient in five other languages, she is listed in “Outstanding People of the 20th Century.” Cosby continues to provide her unique and diverse perspective on national and international issues when asked to chair panels or serve as a keynote speaker for industry forums, professional organizations and charitable events. Ann Liguori, leader in the sports broadcasting and marketing industry, received the 2001 Headliner Award from The Association for Women in Communications at their Annual Professional Conference, held this year in Baltimore, August 1-4, 2001. The Headliner Award rewards recent national or international accomplishments by members, as well as consistent communications excellence. Since AWC created the award in 1939, the association has recognized some 200 prominent leaders in communications disciplines. Liguori is a sports talk show host, interviewer, reporter and journalist for radio, television and print. She is also the president of her own television production company and owner of the award-winning “Sports Innerview with Ann Liguori” weekly television series, seen on regional sports cable networks throughout the country. Ann owns the rights to over 500 half-hour interview shows and her company acquires the sponsorships for the show, which has aired weekly since 1989. She has become one of the top inter-viewers in the business and is known for asking tough questions in a respectful way. And in many of her shows, she golfs with major stars while interviewing them, using golf as a ‘window into the souls’ of her guests. Liguori also hosted the celebrity golf segment on “Golf 2000 with Peter Jacobsen,” a nationally syndicated golf magazine television show. Ann’s weekly half-hour celebrity golf show, “Conversations with Ann Liguori,” aired prime-time on The Golf Channel the first three years of TGC’s inception. Liguori’s work in radio includes hosting a live, call-in sports show on WFAN-NY every late Friday evening. 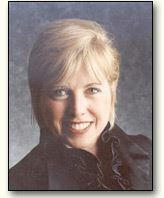 As one of the original talk show hosts at the station, she features interviews with top personalities in sports including athletes, coaches, columnists and agents, plus a live chat session (on annliguori.com) and calls from listeners. She is WFAN’s golf and tennis correspondent and covers events such as The Masters, the US Open (golf and tennis), and the British Open. 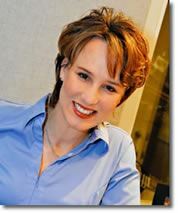 Ann has also covered five Olympics for network radio as show host and reporter. Her book, A Passion for Golf – Celebrity Musings About the Game features a collection of interviews she has done, golfing with some of the most successful celebrities in sports, Hollywood, music and business. A Passion for Life – Celebrity Musings from the Fairways is her new audio book that is distributed by Audio Book Club. Liguori also writes a celebrity golf column in the special golf section of USA TODAY. Ann serves as a spokesperson for Izod Club and, YES!, putters and lectures on a variety of topics. Ann also organizes the Ann Liguori Celebrity Golf Tournament each year, which benefits the American Cancer Society. She is a National Trustee for the Academy of Television Arts & Sciences, serves on the Advisory Board of the Women Sports Foundation and volunteers in various capacities for the University of South Florida in Tampa, her alma mater. Austin, Texas — Gail Sheehy, author and political journalist, is winner of the 2000 Headliner Award presented annually by The Association for Women in Communications. Founded in 1909, The Association for Women in Communications champions the advancement of women across all communications disciplines by recognizing excellence, promoting leadership and positioning its members at the forefront of the evolving communications era. The Headliner Award is the highest honor bestowed upon a professional member and is presented on the basis of recent national or international accomplishments, as well as consistent communications excellence. 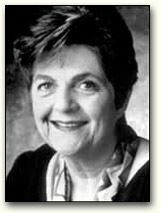 The Headliner Award will be presented to Ms. Sheehy on Saturday, September 16, 2000 during AWC’s Annual Professional Conference being held this year at the Austin Marriott, Austin, Texas. As a keynote speaker at the conference, she will be joining past winners Barbara Sher, Sylvia Porter, Barbara Walters, and Erma Bombeck in accepting this award. 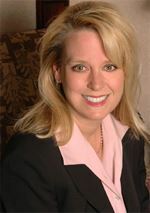 Linda C. Haneborg, International Vice President of Marketing/ Communications for Express Personnel Services, oversees responsibilities that include corporate communications, advertising, public relations, marketing services, special events and media relations for over 400 Express offices worldwide. She also serves as corporate spokesperson, and has achieved her Certified Franchise Executive designation from the International Franchise Association (IFA). Under Linda’s direction, Express Personnel Services has received over 500 communications and marketing awards. 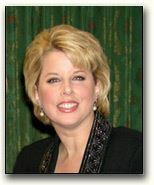 She is also a sought-after speaker on crisis communications, franchising and public relations issues. Active in numerous national professional organizations, including the International Women’s Forum (IWF) and the White House Women’s Information Network, Linda was one of only 40 women internationally who were invited to a women’s issues conference sponsored by the Harvard School of Business at the White House in 2000 last April. Linda has long been involved in her local community, including serving as past president and board member of the Oklahoma City Chapter for the Association for Women in Communications (AWC). In 1999, she received the national Association for Women in Communications’ Headliner award. Linda has also received the local Oklahoma City AWC chapter’s Byliner Award, in the communications category. Linda Haneborg is a fine example of a dedicated communications professional and we are honored to present her the 1999 AWC Headliner Award. 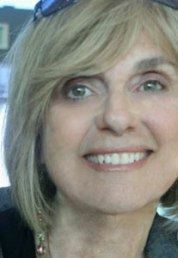 Barbara Sher, author of Wishcraft and four other books, won the Headliner Award for her recent publishing accomplishments and consistent excellence in communications. Sher has spent the past 25 years speaking and writing about ways to take charge of one’s life and career. Lucy Hobgood-Brown has lived and worked in seven countries on four continents. She grew up in Africa and studied journalism at Southern Methodist University in Dallas, where she joined the student chapter of The Association for Women in Communications. After more than 20 years of international and domestic experience in corporate, academic and nonprofit agency environments, Hobgood-Brown is pursuing a masters degree in international communications in Sydney, Australia. Her career has included two postings in the People’s Republic of China, where in 1983, she served as the country’s first public relations practitioner since the Cultural Revolution. One of her professional highlights was initiating and managing a volunteer taskforce for the United Nations’ Fourth World Conference on Women, held in Beijing in 1995. In 1987, Hobgood-Brown reactivated the San Francisco chapter, which now boasts a thriving membership of 350. She also has served on AWC’s national board. She has created affiliations overseas for the association and has actively campaigned to make AWC’s services and programming more international in scope. Carolyn Carter senior vice president, account management, Grey Advertising, Inc.
Dorothy Gregg corporate vice president-communications, Celanese Corp.
Allen Neuharth president and chief executive, Gannett Co., Inc.
Ann M. Corrick radio-TV news reporter, Westinghouse Broadcast Co.
Caroline Iverson Ackerman travel director, Shell Oil Co.
Eleanor M. Johnson managing editor, American Education Press and Charles E. Miller Co.